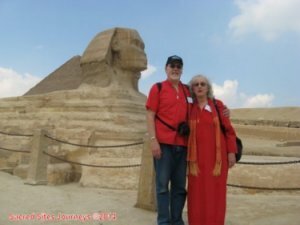 2019 Spiritual Pilgrimage to EGYPT! So if you're being called to this very ancient and mystical land, NOW is the time to go with us! The response to this year's offering has been awesome! We only have 4 places left! to request a Registration Form. we ask that you fill out and return an Application Form. a Registration Form and our Terms and Conditions. At that time you will be required to submit a deposit of $450.00 to reserve your place. Final payment will be due on September 4, 2019, 60 days before the journey begins. a large wooden sailboat, chartered for our group only! for an extraordinary sacred journey from the mists of time through the Pharaohs. through invoking rituals that summon their corresponding Neters (Gods and Goddesses). Within these temples we will seek activate the corresponding chakra in our own bodies. 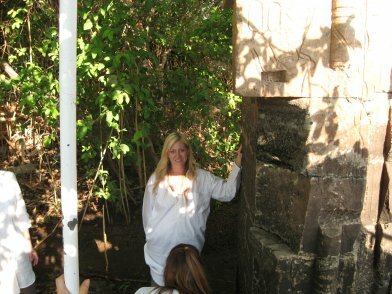 Private Entrance inside the Great Pyramid for our Closing Meditation! the ancient “House of Osiris,” associated with both the 6th and 7th chakras. 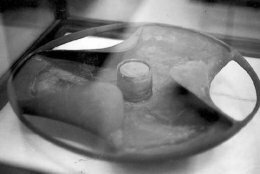 powerful alchemical crucible of the resonance box of the Upper Chamber! World Gnosis: The Coming Gnostic Civilization, and Sedona City of the Star People . Mark Amaru Pinkham is a Shamanic Practitioner, & Researcher of Ancient Megalithic History. 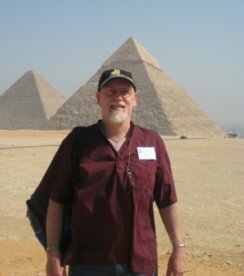 Mark Amaru Pinkham has been a Featured Speaker on spiritual pilgrimages to Egypt since 2000. His special knowledge involves those individuals of ancient Egypt - known historically as "Serpents" and "Dragons" - who underwent intensive initiations and alchemical transformation on their way to achieving spiritual enlightenment. These Serpent adepts were known in Egypt as the Thoth-Hermes Masters, the Djedhi, and the Priests and Priestesses of Osiris and Isis. With his esoteric knowledge and shamanic skills, Mark will help guide you in the footsteps of these ancient adepts so you can also reach a new and higher level of spiritual awareness as you journey with him and Andrea through the ancient temples, pyramids and other sacred sites. Mark is also a Western and Vedic (Hindu) Astrologer, with over 35 years of experience. 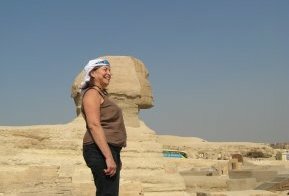 Andrea Mikana-Pinkham has been leading spiritual pilgrimages around the world since 1994, and yearly to Egypt since 2000. 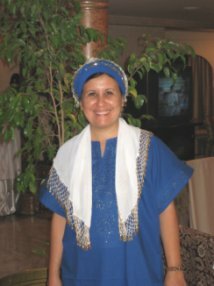 She is a longtime avid practitioner of the Goddess Path. During this spiritual journey she will facilitate meditations, guided visualizations and rituals to assist you to connect with the powerful energies of the Goddess at Her sacred sites and temples. Andrea is a teacher in the The Order & Mystery School of the Seven Rays. She is a trained shamanic practitioner, Reiki Grand Master of Ichi Sekai (One World) Reiki, and a spiritual counselor. 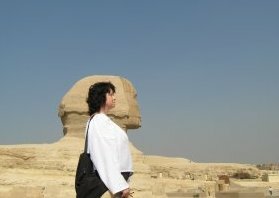 and had a lifelong desire to travel to there to see the pyramids and Sphinx. Mark and I founded our sacred travel company in 1993. We operated and led spiritual pilgrimages to Peru for many years. 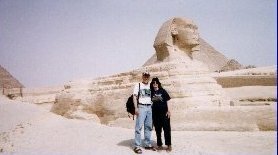 In 2000 we also began offering and leading sacred journeys to Egypt. and its many secrets and theories about its spirituality and ancient civilizations. It's one of my passions and joys in life to be able to support others to make their special connections. From Andrea: Dr. Vivian Zaky is our dear friend and spiritual Sister. and also very warm and friendly. she is easily able to secure our meditation time. I've made long-lasting connections with some of the best hotels, cruise ships and local shop owners. for us to have the time and space for our meditations and initiations. to support you to experience Egypt in ways that most people never do! and sacred temples that are chakra sites along the Nile. TRAVEL to EGYPT is SAFE! 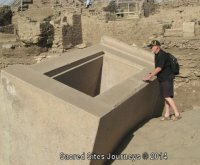 people have had awesome experiences in the ancient pyramids and sacred temples that we visited. Due to tourism being lower than usual for the past few years, the crowds are much smaller. So at most of the places we visit, we've had the place to ourselves, or saw only a few other visitors! We had more than ample time for our powerful meditations and initiations. 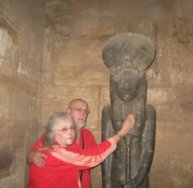 with our Egyptologist Guide Dr. Vivian Zaky. our Egyptian sisters and brothers have continually warmly welcomed us wherever we've gone! 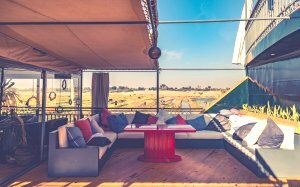 So....If it's been your lifetime dream to travel to Egypt, NOW is the time to make your dreams come true! Sacred Sites Journeys is offering this spiritual pilgrimage as a Land Only sacred travel package. 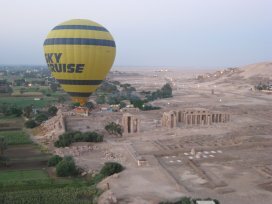 You are responsible to book your roundtrip air to Cairo, Egypt. Sacred Sites Journeys can assist you in booking your international flights. Once you have registered, let us know if you'd like our assistance. Arrive Cairo International Airport on your own. in order to have time to check in at the hotel and rest before our evening activities. Transfer to hotel at the airport. and a transfer in a private air-conditioned car to the nearby airport hotel. We can also arrange a private transfer back to the airport at the end of the journey. we can give you a quote for these additional services. Check in. You have free time to rest and relax. Lunch on your own. "The Glory That Was Ancient Egypt"
Overnight Cairo. Le Passage Hotel at Cairo International Airport. 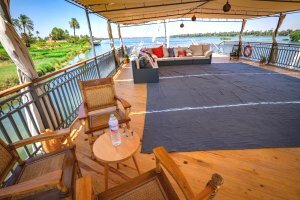 The M/S Veda Dahabiyah, our chartered wooden sailboat for our 6-night cruise on the Nile! chartered dahabeeyah, large wooden sailboat. Settle into your cabin. Free time to rest and relax in your cabin or up on deck. 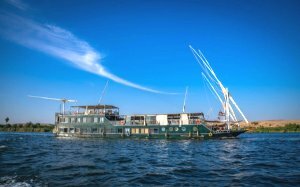 After breakfast we depart to Elephantine Island, named for the Greek word meaning 'elephant'. The more common name for the city by ancient Egyptians was Sehel, which also meant 'elephant'. were basically brought from the Nubian lands south of here. 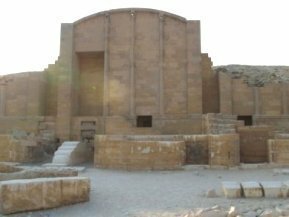 We explore the ancient Temple of Khnum, the main cult center of the ram-headed creator god. Khnum was the Neter of fertility, water and the Great Potter who created children and their ka at their conception. We'll take time for individual meditation. Open your heart to connect with the creative energies of Khnum. that shows that the ancient pre-dynastic Egyptians used advanced machining techniques! We can also surmise about what natural catastrophe in the distant past could have knocked this huge box over on its side. We can use our psychic archaeology as we meditate next to this ancient artifact. Will you discover who built it? When? And why? Return to boat. Lunch onboard. 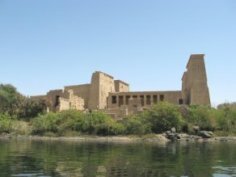 nearby Island of Philae were moved to when the Aswan High Dam was completed in 1970.
that venerated Isis, the Neter of Healing and Magic, wife/sister of Osiris, and mother of Horus. Isis may be the oldest deity in Egypt, and certainly the oldest to survive in much the same form as in the ancient times. She may also be the most important, as She was worshipped almost universally by all Egyptians. As the major Goddess of the Egyptian pantheon, with many of the same attributes of other Mother Goddesses found all over the world, She was revered as the Great Protector, prayed to for guidance, and beseeched for peace in the world. Her Egyptian name was Auset, which meant "female of throne", i.e. Queen of the Throne. Teachings about the pre-dynastic Egyptians, from the oral tradition passed down through the ages, say that it was a matriarchal and matrilineal culture, and that the woman was the power behind the throne. The mother or sister chose the male who ruled. Thus the throne that is shown carved on Isis' head in hieroglyphs in the temples. During the Greco-Roman period, this sacred island was the main cult center of Isis. Her worship lasted here until the 6th century CE, when it was outlawed by the Emperor Justinian. Though it died out here, Her influence spread to Greece and Rome and on throughout Europe. Some researchers believe that the Black Madonnas found in many cathedrals were representations of Isis and Her son Horus. Divine Feminine Mysteries and offer our heartfelt requests for healing and transformation. 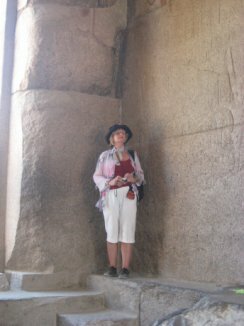 We return to the mainland, stopping for a brief visit at the Unfinished Obelisk for a gander at this gigantic block of Aswan granite. bby the ancient pre-dynastic Egyptians, and NOT carved by hand? Your eyes and intuition will tell you the truth! Next we visit a Papyrus Institute, where youll see a demonstration of how papyrus is made. And hear about how the papyrus plants are unfortunately dying out due to environmental pressures. Youll also have the opportunity to shop for that perfect papyrus for yourself and / or someone else. tablecloths and more from Vivian's friend who is the local wholesaler to the vendors in the market! 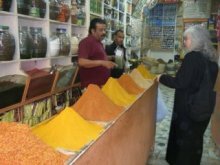 We'll also stop in at the spice market, where you can buy just about any kind of spice you can think of. They'll be expertly packaged so that you can easily take them home to use in your cooking. Return to boat. Free time. The Temple of Kom Ombo is a magnificent edifice of energy-filled ruins overlooking the Nile. 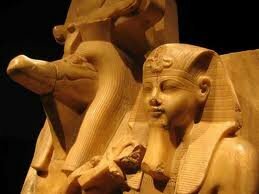 Sobek, the crocodile-headed Neter and Haoeris, (Horus the Elder), an early form of Horus. Among other things, they represent the Light (Haoeris) and the Dark (Sobek) within ourselves. We have meditation time to balance the Light & Dark within yourself. Return to boat. Lunch onboard. Free time. Edfu Temple is dedicated to the Neter Horus, son of Isis and Osiris, the falcon-headed Neter who is the symbol of the Higher Self. and perhaps one of the best-preserved of the entire ancient world! related to the divinities associated with the cult of Horus: Osiris, Isis, Sokar, and Khonsu. to help you strengthen your connection with your Higher Self. 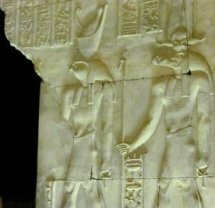 The Temple of Esna was dedicated to the god Khnum, his consorts Menhit and Nebtu, their son, Heka, and also the goddess Neith. 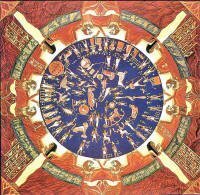 There are quite a few wall panels depicting scenes of astrological significance which we'll explore with astrologer Mark Amaru Pinkham. 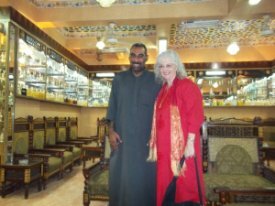 a Sufi family who own and operate Radwan Jewelers and Gallery. You'll be able to find the perfect sacred amulet of your favorite Neter. Will it be Isis? Hathor? Sekhmet? Horus? Osiris? Who is calling you? This family of excellent silver and goldsmiths have many options from both types of metal for you to choose from. You can also order T-shirts for yourself, as well as for gifts, with your name embroidered in hieroglyphs. Our first stop at Karnak Temple is the incomparable Sekhmet Chapel, located in the Temple of Ptah. 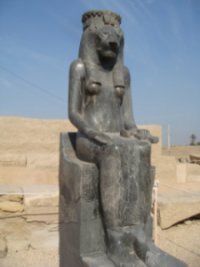 Sekhmet is one of the oldest of the Neters. Her name means "Mighty One" or "Powerful One"
and is derived from the Egyptian word 'Sekhem', which means "power" or "might". She was the patroness of physicians, surgeons and healers. Because of Her power, She is sometimes portrayed in a negative way by traditional Egyptology. They often overlook Her qualities as Healer, Mother and Protector. Sekhmet's black granite statues show Her standing with a scepter in the shape of the papyrus, heraldic plant of Lower Egypt. She has become the symbol of the modern-day empowered woman. so that She has transformed from what was almost a force of chaos into an icon of immanent female power. and brings you into alignment with your Higher Self. Through meditation, we will call Her timeless energies to us for a great blessing. that will gift you with increased empowerment of the Divine Feminine in your Being. 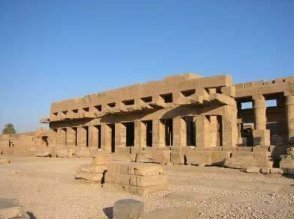 Afterwards, we explore the vast Temple of Karnak, the largest columned temple in the world..
Karnak is dedicated to the Neter Amun-Ra, the hidden Power of Creation, and his feminine counterpart, the Neter Mut. As the Egyptian creator deity par excellence, Amun was self-created and was thus hidden from humanity. However, the addition of "Ra" to His name revealed Him. Ra was the common Egyptian term for the sun, thus making Him visible. Hence, Amun-Ra combined within Himself the two opposites of divinity, the hidden and the revealed. We'll explore the Temple of Amun, including the Holy of Holies. the energies of Amun-Ra and Mut, to balance the male and female energies within. We then visit the Festival Hall of Tuthmosis III, where some Rosacrucians believe their spiritual tradition originated. and founded the Royal School of the Master Craftsmen, which came to be known as the Great White Brotherhood. and receive any messages that might be bestowed upon you. Be open to the Gifts of Spirit that you're sure to receive. 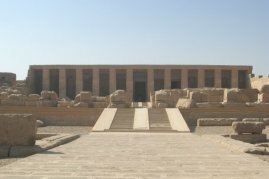 Our last stop at Karnak will be at the Precinct of Mut. Mut is the quintessence of the Divine Feminine, the Mother. Intimately connected with Sekhmet; it's possible that in the very ancient past, they were one and the same. and to meditate near them in order to connect with her energy of Unconditional Love. 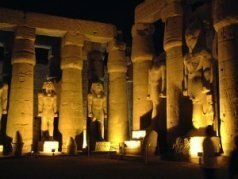 Our evening visit under the stars to magnificent Luxor Temple is a real treat! We walk the well-worn pathways of this amazing structure and connect with its ancient energies. from your conscious self into the Light, for your continued spiritual evolution. 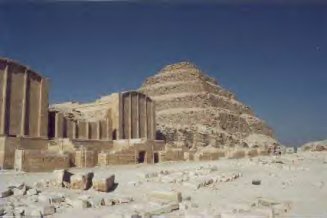 We depart across the Nile to the West Bank, which includes the Necropolis of Thebes and Hatshepsut's Temple. still vibrant with scenes of ancient daily life and esoteric teachings about the afterlife. You have the option to buy a special ticket to visit the famous tomb of King Tut-Ankh-Amen, whose mummy is in situ. 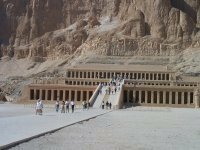 Then we visit Queen Hatshepsut's magnificent Temple to Amun at Der el Bahari. the most famous of the few handful of the female Pharaohs who ruled Egypt in dynastic times. and was designed by her architect/lover Senenmut. where the Sanctuary of Hatshepsut and the Sanctuary of Amun are located. the energies of this remarkable Pharaoh, inviting in the energy of the Divine Feminine. 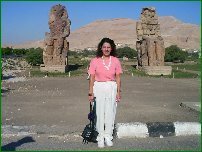 We'll make a brief stop at the Colossi of Memnon, enormous statues that are the remains of the mortuary temple of Amenhotep III. father of Amenhotep IV, better known as Akhenaten. Dendera is the magnificent Ptolemaic temple dedicated to the Neter Hathor / Het-Her, the wife of Horus / Heru. Dendera is a Greek transliteration of the Egyptian Enet-t-neter ("Home of the Goddess"). it was a healing center and sacred place of initiation into the mysteries of male/female balance and sensual love. Hathor's priestesses and priests offered miraculous cures, practicing all types of magical and psychological therapies. Hathor was also known as the Neter of Motherhood, with titles such as "The Great Cow Who Protects Her Child"
predicted the fate of the newborn; as well, they were also the midwives who delivered them. As the Protectress of Music and Dance, Hathor was associated with percussive music, in particular the sistrum. Her traditional votive offering was two mirrors, the better with which to see both Her beauty and your own. Her head was used to decorate sistrums and mirrors. who aspired to embody her multifaceted role as wife, mother, and lover. and more children were named after Her than any other. In the Crypt we'll explore some of the controversial theories about the amazing panels on the walls. represent an ancient technology of electricity, or some other form of energy known to and utilized by the ancient Egyptians? Are they symbols esoteric teachings about spiritual evolution? as the wall panels contain very esoteric information pertaining to alchemy, prehistory, and ancient wisdom. a work of sacred art deliberately encoded with information. on the level of Stonehenge and the Aztec calendar. it nevertheless projects its messages forward to 2216 CE! connect with the Greater Mysteries of Hathor and the Divine Feminine. 3:00PM - Continue to Abydos and check into the hotel. 7:00PM – Dinner at the hotel. Overnight Abydos. 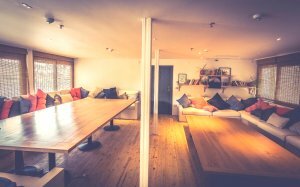 The House of Life Hotel. pre-dynastic civilization built the magnificent Osierion. Ancient Egyptians were required to make a pilgrimage here at least once in their lifetimes; today we make ours! as well as Resurrection and Renewal. to have taught the skills of civilization to those living in the area. The Return of the Serpents of Wisdom, and will share some of this information while we're here at this sacred site today. The Ptolemaic Temple of Seti I contains some of the best-preserved wall panels in all of Egypt, with colors that are still vivid! 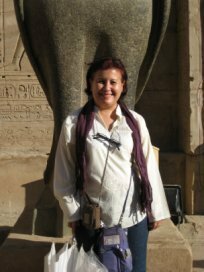 We explore the various rooms that are temples to the various Neters with our Egyptologist, Dr. Vivian Zaki. through to the end of the Ptolemaic Dynasty, when Egypt became a province of Rome under Augustus Caesar in 30 BCE. Absent from the list are the "heretic" pharaoh Akhenaten, as well as Hatshepsut and other women pharaohs. - the Valley Temple next to the Sphinx that we'll visit during our day on the Giza Plateau. such as Sacsayhuaman in Peru and Stonehenge in England. in the world at the same time, many thousands of years ago? 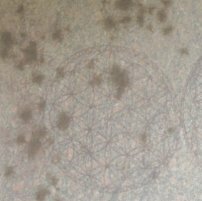 On one of the pillars in the temple we will see the ancient symbol of the Flower of Life. we'll explore the meaning of this symbol which, according to Sacred Geometry, is the building block of all life! As well as who painted it on the pillar here. We'll also take time to meditate and focus, and see what might be revealed to you through psychic archaeology. vibrating with color and palpable energy, Andrea and Mark will facilitate a Meditation to focus on the Osirian Mysteries. 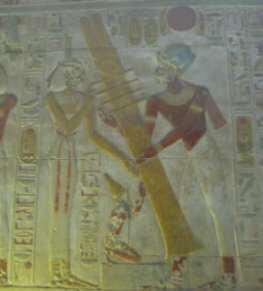 In this ancient mystery tradition, the Djed Pillar symbolized the Backbone of Osiris. On a mundane level it symbolized strength and support. during the process and eventually achieving Enlightenment. upward for the rebirth of your "New Self". fall away and more Love and Light take their place. 1:00PM - Return to hotel for lunch. began having visions and believing that she had been the lover of Seti I, the Pharaoh who built a temple at Abydos. then on to Cairo, where she worked with Selim Hassan and Ahmed Fakhry while living near the Giza pyramids. She finally went to Abydos, where she recognized the temple of Seti I as her home and spent the rest of her life as its Keeper. Her amazing story is recounted by Jonathan Cott (The Search for Omm Sety, 1987). by the archaeologists and Egyptologists she met and worked with. 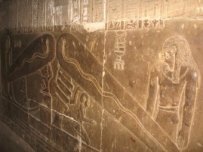 We'll visit the location where Omm Sety lived here in Abydos. Lunch on your own at the airport. Time to Be Announced – Arrive Cairo. home to an extensive collection of ancient Egyptian antiquities. - Predynastic, Old, Middle, & New Kingdoms. 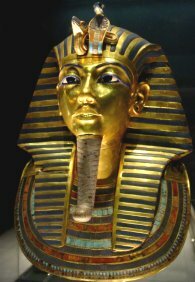 One of the highlights of the visit is the famous and priceless treasures of King Tut-Ankh-Amun. packed for this boy Pharaoh to accompany him to the next world. those of some of Egypt's most famous pharaohs, like Ramesses II. Transfer to Giza and our hotel near the Giza Plateau and pyramids. Check in. Free time. Overnight Giza. Mena House Hotel. 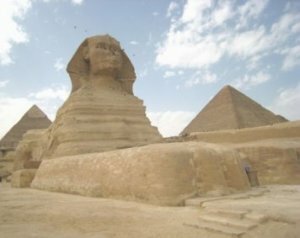 located next to the Sphinx and the timeless, enigmatic Sphinx! we ponder on their influences upon the Egyptian civilization. and Andrea and Mark will discuss various alternative theories relating to the ancient builders. Will we ever really know the truth behind the building and construction of the timeless monuments? Will we ever uncover all their hidden secrets? These questions and more will offer us an interesting and exciting time among these ancient structures. 12:30PM – Return to the hotel. Lunch on your own. to learn about the ancient Egyptian art of scent alchemy. Gamal shares his vast knowledge with many people who come from many countries to study with him. about the healing and alchemical properties of the essential oils. As well, he may offer each person a short psychic reading. You’ll most likely want to take some of these high energy essential oils home with you! Return to the hotel. Free time. Dinner on your own. possibly a Per Neter ("house of nature") built out of limestone and granite, possibly to function as an energy device. We'll explore this theory and test it first-hand during our time inside, when we experience the acoustic harmonic resonance. perhaps as the priests and priestesses did in ancient times to reach higher states of consciousness. 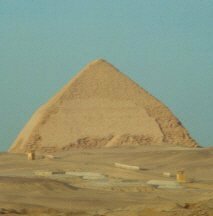 Afterwards we'll stop nearby at the Bent Pyramid, built in the distant past from locally quarried limestone. What is the reason for the bend in the construction? We'll explore various theories. and thus two different energies? Egyptology says the structure was built by the Pharaoh Sneferu. thus indicating its purpose as a resonance device with two different angles which produces two different tones. in the way of the ancient ones who lived here in the past who believed the mind was in the heart. or burial place, for the Pharaohs and royalty of the Memphis area. where the ancient priests and priestess used sound to perform healings. believe this to be the world's oldest freestanding stone structure. Andrea and Mark will share theories that refute this, to give us a different point of view of the history. with the cult of the Apis bulls, and believed to have been built during the 18th dynasty. with a white blaze on its forehead and throat, a red saddle-like mark on its back, and a white belly. They were so important that when they died, a day of national mourning would be declared. where it was interred in the Serapeum. 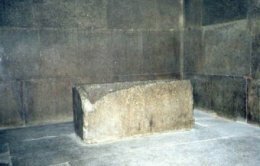 However, there are other theories as to the use of these huge granite boxes. Perhaps they are evidence of ancient advanced machining techniques that cannot be reproduced today by engineers. we'll have time for meditation among these ancient stone boxes and their very amazing energy. 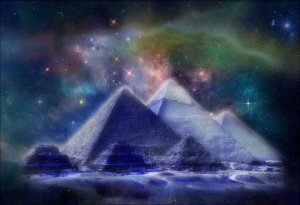 The Ancient Worldwide Order of Sacred Scientists and the Pyramids of Giza. Free time. Lunch on your own. 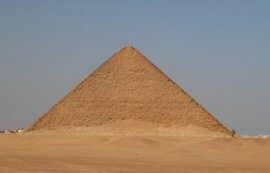 4:00 - 6:00PM – Private Entrance into the Great Pyramid for our group only! 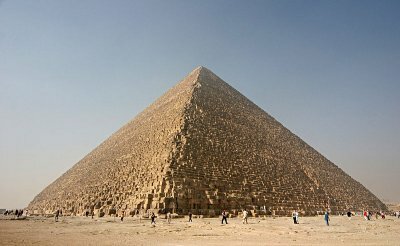 In the later afternoon we depart for our PRIVATE ENTRANCE into the Great Pyramid. 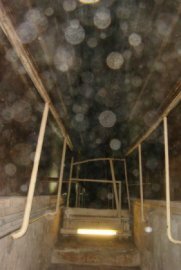 As we climb up through the Ascending Passage and the Grand Gallery watch out for Orbs - a sure sign that Light Beings are with us! and will be able to connect with more of your higher frequencies. 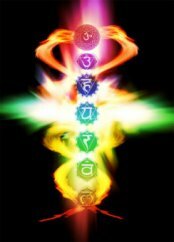 Andrea and Mark will assist you to activate your inner allchemical force in your chakra centers of power along your spine. the Arisen One, a term derived from Khephri, the resurrected beetle. a box breakfast will be provided. Note: This itinerary is subject to change due to conditions beyond our control. 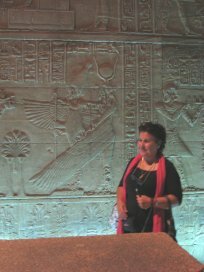 - Excellent English-speaking Egyptologist/Tour Guide Dr. Vivian Zaky, PhD. - Any items of a personal nature such as laundry, drinks, internet service and telephone calls. This tour is LAND ONLY. You are responsible to book your international flights to and from Cairo, Egypt (CAI). For those departing from the USA and Canada, after you register, SSJ will be happy to refer you to our airline consolidator that can assist you to book your airline ticket. 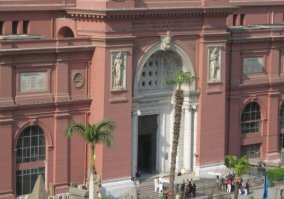 Pre and/or Post Tour Optional Services: Sacred Sites Journeys can arrange a meet/greet upon your arrival at Cairo International Airport, and transfer in a private air-conditioned car to the hotel. We can also arrange a private transfer to the airport at the end of the journey. Once you have registered and your international airfare is booked, we can give you a quote for these additional services. 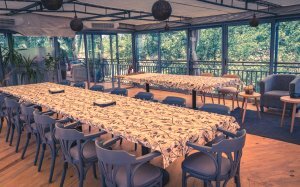 ARRIVAL: Please arrive on Sunday, November 3, 2019 early enough during the day to transfer to the hotel, check in and meet the group for our later afternoon Group Meeting. If you can't arrive in time for this, we suggest that you arrive a day early. Once you register and book your airfare, we can give you quote for the additional night or nights at the hotel we'll be using for the group, as well as pre and post tour services. DEPARTURE: For your departure on Saturday, November 16, 2019, the tour ends after breakfast. You can book your departure for anytime after breakfast, or if you prefer to forego it, anytime after midnight. A breakfast box can be arranged. This sacred travel package is Land ONLY. The prices listed below are in U.S. Dollars. This is the additional amount you will pay if you choose to have your own private room on the sailboat. 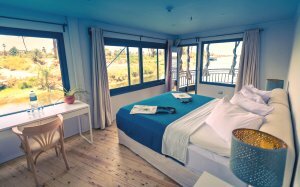 There are only 2 single rooms available on the boat. This is the additional amount you will pay if you choose to have your own private room at the hotels. * There is an additional fee of $25.00 for bank wires sent from outside the USA. Roommates: If you're not traveling with anyone you know, Sacred Sites Journeys will try to match you up with a suitable roommate. Per our Terms and Conditions, we will hold the event registration open until 30 days or later before the tour begins in order to try to match you with someone. If by that time we have not been able to do so, you will be responsible to pay the single supplement. If you would like to be matched with a roommate, please register early. Final payment will be due on September 4, 2019, which is 60 days before the journey begins. If you'd like to receive our Monthly Sacred Sites Journeys E-Newsletters, pleasease Sign Up Here!